I've just switched all the website hosted on my garage server over to a new 12 volt low power "server" which runs off my solar system. Last night was the first night running everything on the new set-up - and it all seemed to run fine. The batteries were back up to 100% charge by 8am so it looks like the whole arrangement will cope with a string of bad weather without straining the batteries. Up til now I've been running a handful of website from a HP Prolient G3 rack server that I bought for $35 off Trade Me. It's a great old machine for running very simple websites with dual hot swapable hard drives, but it was pretty power hungry and sounded like a jet engine (which is why it's living in the garage). The new "server" is a QOTOM-T250C dual lan mini itx pc with Intel Celeron processor, 2GB RAM and 32GB SSD. I'll add a second 32GB SSD at some point to make a RAID array. For a display I'm using a 7 inch LCD car monitor which is also powered from 12 volts DC. The server OS is SME-Server - a very easy to install Linux server which comes with all the web server software installed. The here's the new server (black box upper right). 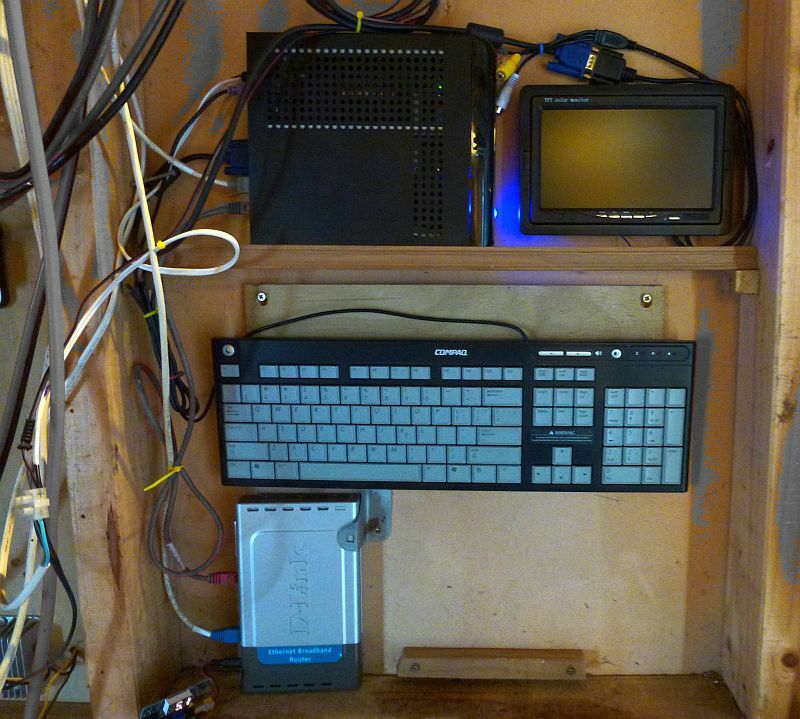 The grey box (bottom right) is the router - now also running off my solar system. 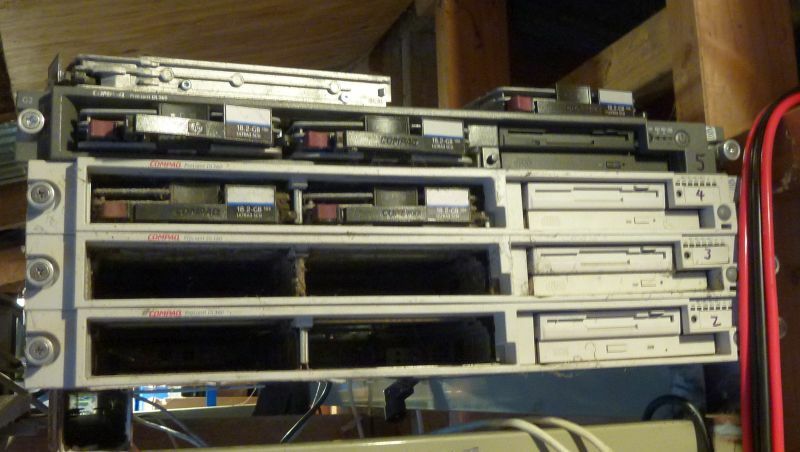 And below - the old server ($35 dollar HP Prolient G3) and spares. This setup perfectly illustrates a dilemma you can see over and over - cheap stuff often has higher running costs so costs more in the long run.